This webpage provides useful information, affordable pricing, and online sales of phones and hardware available new and discontinued Nortel Phone Systems. new and used for replacement or additions. We carry a complete line ready for immediate shipping. The M Series: M7100, M7410, M 7310, M7208 and M7324 available in gray, ash charcoal and black. The T Series: T7100, T7208 and the T7316 available in charcoal and platinum. For dynamic, larger or multi-site businesses that need sophisticated capabilities, Nortel Norstar Modular Integrated Communications System, our premier Norstar platform, grows to support up to 280 ports in various configurations. Software and system expansion modules enable you to grow as your business needs change, both in capacity and features. For growing yet budget conscious businesses, Nortel Norstar Compact Integrated Communications System uses a building-block design to grow from four outside lines and eight extensions up to eight lines and 24 telephone extensions. This flexible unit is ideal for growing organizations that may need basic call center functions, desktop messaging and the ability to blend telephone and computer functions, such as using the PC to manage phone calls or to automatically display a caller’s account record with the call. Norstar Call Pilot 100 and 150 provide scheduled messaging, automated attendant, voice messaging from 10 to 40 mailboxes, system administration and maintenance. Star Talk Mini and Flash Talk 2 also available at reduced costs. E System Sales, Inc. is currently providing Nortel phone system installation nationwide in such states as: New York City Manhattan Long Island Maryland Washington DC West Virginia Philadelphia New Jersey Baltimore Alexandria Pennsylvania Richmond Lynchburg Roanoke Danville Portsmouth North Carolina Durham Charlotte Ashville Fayetteville, Greensboro, Rocky Mountain, Jacksonville Georgia Atlanta Columbia Marietta Macon Savannah Alabama Montgomery Albany Florida Tallahassee Jacksonville Pensacola Gainesville Ocala Deltona Daytona Beach Orlando Melbourne Palm Pay West Palm Beach Tampa Clearwater Largo Fort Myers Cape Coral Boynton Beach Delray Beach Boca Raton Coral Springs Fort Lauderdale Pembroke Pines Hialeah Miami Texas Houston Pasadena Galveston Victoria Bryan Austin Waco Denton Lewisville Dallas San Antonio Midland Lubbock Amarillo New Mexico Albuquerque Santa Fe Arizona Phoenix Flagstaff Scottsdale Mesa Gilbert California Carlsbad Los Angeles Palmdale Carson San Diego Corona Huntington Beach Simi Valley Palmdale Lancaster Santa Barbra Bakersfield San Francisco Visalia Stockton Fremont San Jose Modesto Lodi Santa Rosa Sacramento Nevada Las Vegas Henderson Carson Reno Lake Tahoe. The Norstar Nortel phone system is one of the most popular phone system sold world wide in the business systems marketplace. Norstar Nortel business telephone equipment is one of the most reliable well constructed phone systems manufactured today. 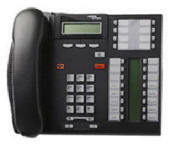 Nortel phone installers available for immediate installation of all Nortel phone system equipment. All you have to do is say yes and we will have your new phone system installed within 10 days. Ask us how we can reduce your telephone costs! Great for conference room type settings, no extra hardware required to interface Polycom SoundStations to the Panasonic KSX-TAW848 Phone System. E System Sales, Inc is one of the nation's largest Telecommunication Phone Systems, Point of Sale and Security Camera Systems distributors. We are working with our suppliers to bring our customers the best prices, quality and service. We appreciate the chance to bid on your next system project.